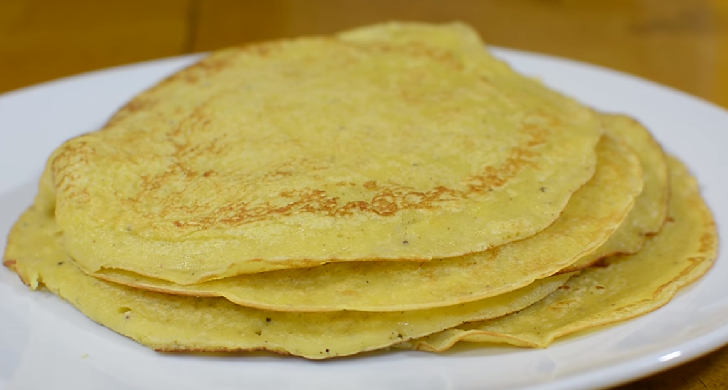 Plantain pancakes – These are ultimate comfort food made from plantains and a few other ingredients. They are very light and tender almost like the French crepes. However, the process involved in making these pancakes are not as intimidating as that of the French crepes. ⏩Peel the plantain and cut them into slices or little chunks. Place the slices in a blender or food processor and blend until smooth. ⏩Heat a skillet/frying pan on a medium heat. Brush with a little bit of oil and once it becomes hot, pour the batter about a quarter cup at a time. ⏩Serve with honey, maple syrup or whatever topping you prefer. Enjoy! ➤Feel free to add other spices or flavors like Cinnamon, Ginger or vanilla. Comes out really nice! ➤Don’t increase the heat to make them cook faster because they burn. keep an eye on them!